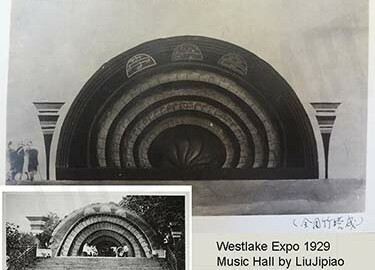 Funny, that same week we received a copy of Eastern Miscellany’s Westlake Expo Issue, May 25, 1929. Not only are there images of his renderings for the buildings Liu designed for the Westlake Expo in Hangzhou, China but there are also photos of the construction and finished product as well! To see the magazine click here. Our ultimate goal is to collect as many of these publications as possible. So if anyone knows where we might find them or have any leads we would really appreciate your help!! Various volumes published in 1924, 1927, 1929, 1930.